The Gay Gamer: Which game should I play next as part of my #ADecadeofDS series? Which game should I play next as part of my #ADecadeofDS series? I know they're not the most popular of the many series I've started over the years (a few of which have fallen by the wayside, it pains me to admit), but I'm really having fun digging through my ever-growing stash of European, Japanaese and North American DS games so I can play and write about them in one of my "A Decade of DS" columns. That said, I'm having a hard time deciding which DS game I should go with for my next such write-up, which will be published in about a week (following the one I publish about Awatama, aka Soul Bubbles). Not that it matters, but the first two DS titles are the European versions of the games, while the third one is the North American release and the fourth is the Japanese iteration. And what if no one votes, or if some folks vote and there's a tie? In that case, I guess I'll just flip a coin or something. "My World, My Way". No clue what it's about, but I'm envisioning Mary Tyler Moore as a power bottom. So yeah, go with that. My World, My Way, for no other reason than the name sounds really cool. 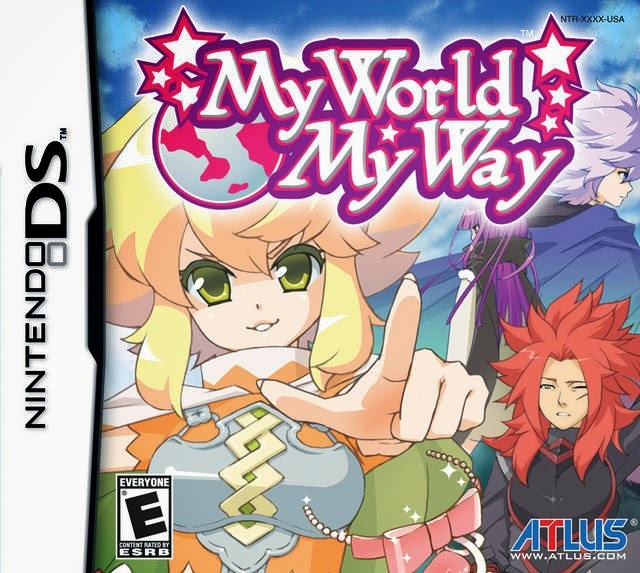 Considering three of four people who've chimed in so far have called for My World, My Way, it looks like that's the one I'll be playing next, Jess. 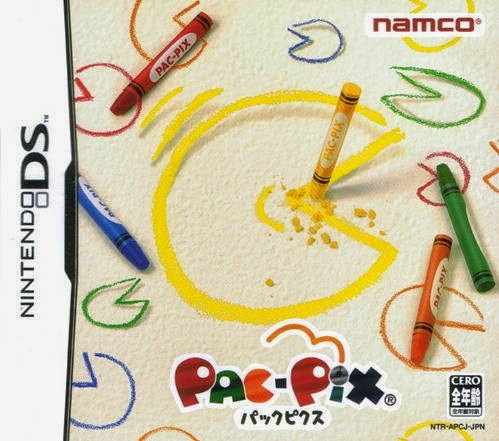 As for Pac-Pix, I'm def. going to play it at some point, as I already have the game. My World, My Way was a game that I was curious about, so I selfishly choose that one. I remember getting Mr Driller Drill Spirits. Not a bad game. It was one of the first few DS games I got when I first got the DS. I remember Contact. I enjoyed it at first, but I remember semi rage quitting over the game LOL I reached some point in the game where I encountered a "wall" of some sort and couldn't continue. I forget now what it was, but I do remember feeling highly irritated by it and giving up on the game. Thanks, Phillip! It looks like that'll be the game! Ok, I love Mr Driller more than most people so normally I would say that, but I really want to hear about Contact! I've always wanted to grab it but never have. Would be great to hear your thoughts :) All of them are great choices, though! I had the same experience. I'm curious if it was the same spot, Igor. It isn't going to be next one, Zach, but it'll be the next one after that!